When I was a wee lad, (girls are lads too, right?) I loved brussel sprouts. I saw nothing wrong with their miniature, cabbage-like way. 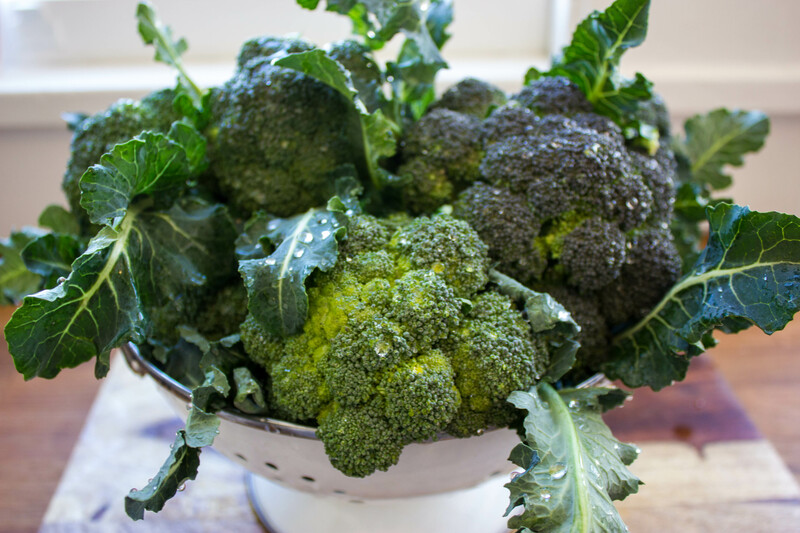 Then on one fateful day my older sister announced her great and profound dislike of this cruciferous veggie. Right then and there it was over between us. The trash compactor screeched open in victory as my brussels careened and bobbed off of my plate. Luckily for me, my sister, and the sprouts, I grew a mind of my own and she changed hers. 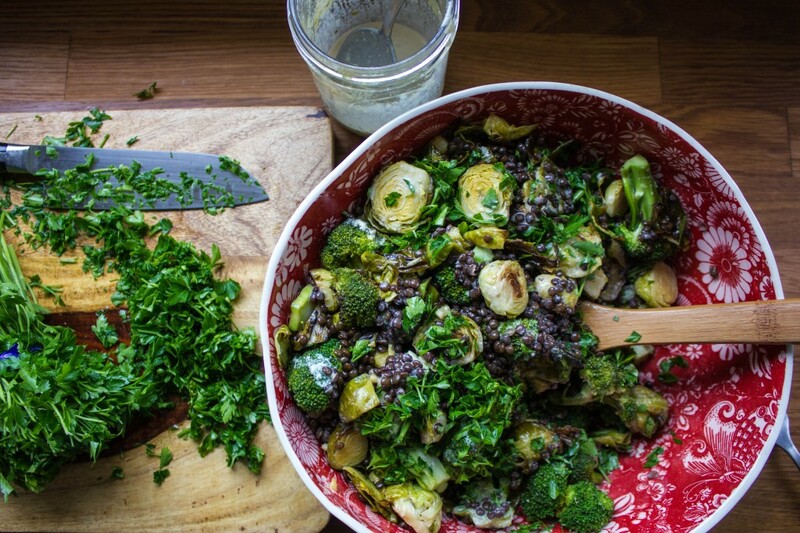 Since then brussel sprouts have become an indispensable ingredient in our kitchen. 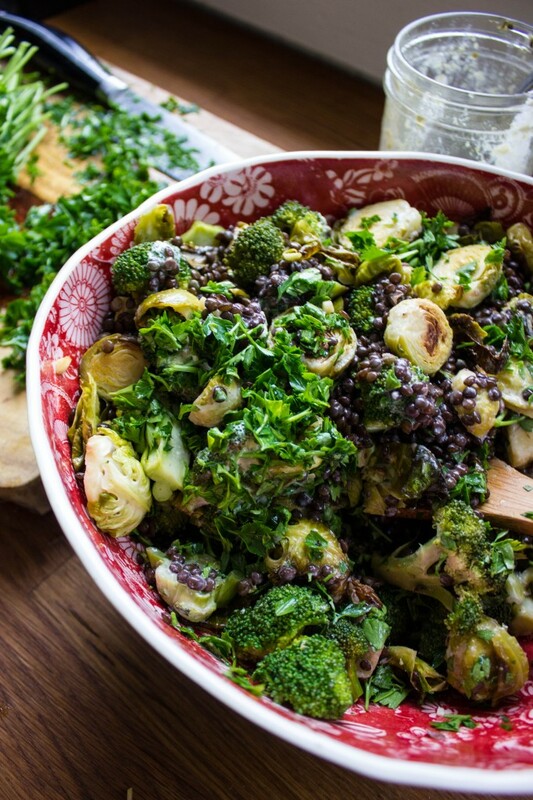 With chemical compounds that are believed to repair DNA and prevent the growth of cancer, brussel sprouts are a highly nutritious vegetable. They also contain high levels of omega-3 fatty acids which may be hard to come by in a vegan diet. This salad, made up of beluga lentils, broccoli, and brussel sprouts (the three superfood Bs) is perfect. 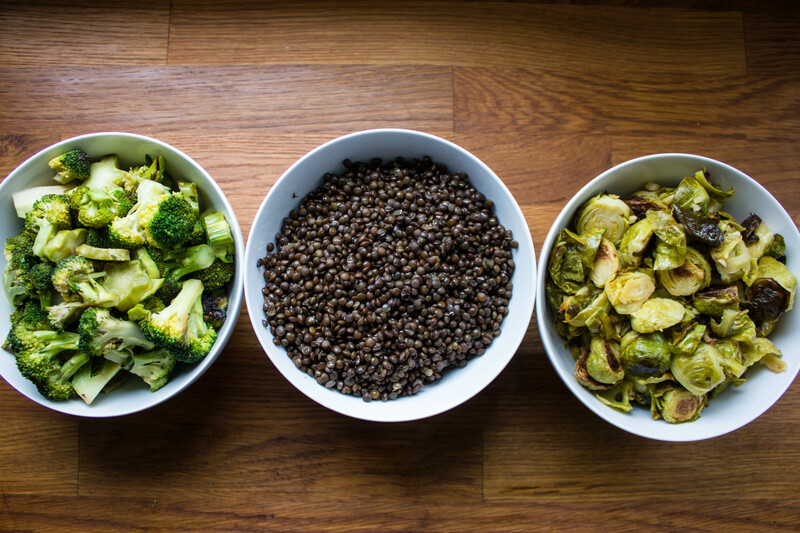 Lentils, with all of their fiber and protein, and beautifully roasted broccoli and sprouts make for a well-balanced vegan meal. The plant-based fats found in the tahini and olive oil dressing are also the healthy kind that, among other things, coat the myelin sheaths in your brain. The consumption of such fats ensure that the neurons in your brain fire properly when you’re doing all of that thinking that we humans do. Heat oven to 400 degrees. For the brussel sprouts, after chopping in half, mix with the olive oil and some salt and pepper and put in a tray to roast in the oven. Roast for 35 to 40 minutes until they are a bit crispy on the outside and soft in the inside. Stir occasionally while roasting to make sure they cook evenly. 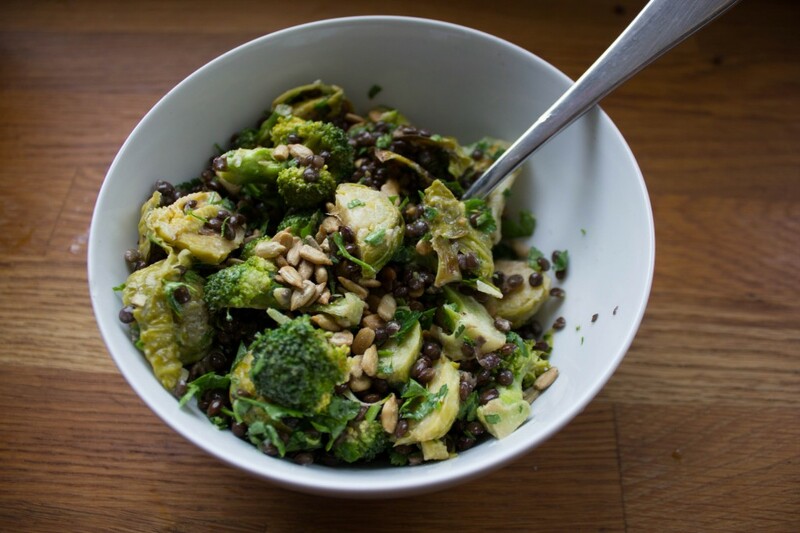 For the broccoli, if you like roasted broccoli, then add the broccoli to the brussel sprouts for roasting, just double the amount of olive oil, salt and pepper. The roasting time should be the same. If not, steam the broccoli. While the brussel sprouts and broccoli are cooking, for the lentils, pick over to ensure there are no rocks, twigs, etc. and discard any shriveled or bad lentils. Rinse well in a sieve under cold water. Add the lentils to a pot with 2 cups of water and bring to a boil. Once it is boiling, cover and bring to a low simmer. Continue cooking for about 25 minutes, but stir occasionally to check the lentils don’t need more water (you can add 1/2 cup of water at a time as needed). Towards the end, take a few lentils out and taste to see they are cooked all the way through but not mushy. When they are ready, drain the lentils and put them aside until the vegetables are ready. For the dressing, mix all of the ingredients together well, either with a whisk or with a fork. This is a malleable recipe, if you want to add some chopped garlic, do so, or if it needs a bit more olive oil to cut the lemon, go for it. 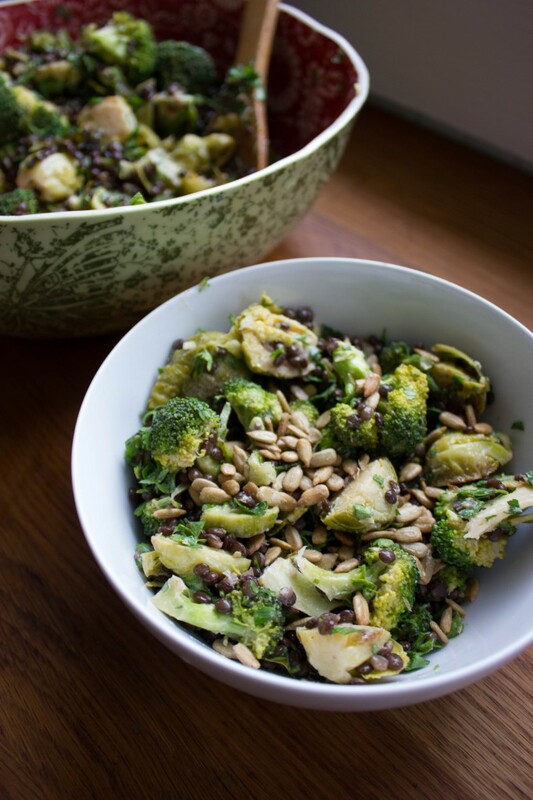 In a big bowl, toss the broccoli, brussel sprouts, lentils and parsley together and dress with the Lemon Tahini Dressing. Salt and pepper to taste. You can do this while the ingredients are warm or allow them to cool if you prefer. Keeps for 3 days in tupperware in the refrigerator.